So, you’re getting ready to graduate nursing school and are looking around for some free and paid NCLEX® questionnaires. Let’s be real, everyone would like to try to get as many practice test questions as possible, which typically consists of checking out not one, but multiple free and paid NCLEX® question banks to maximize your dollar and time. Getting access to NCLEX® questions is helpful, but there’s more to it than that. You don’t just want to know the right answer, you want to know the rationale so you can learn why that’s the right answer. Even better, if they can tell you the level of difficulty and how it stacks up against the rest of their question bank, that’s amazing. Remember, the NCLEX® isn’t a normal test… it’s a computerized adaptive test (CAT). What does that mean? Here’s a great explanation from the National Council of State Boards of Nursing (the people who write the test!) about what a CAT really means. So, just getting a bank of multiple choice questions isn’t going to cut it. You need to know not only the right answer, but the rationale and how difficult the question is, as well as questions with alternate formats. You also don’t want to get the same questions over and over, so you need a large bank of question (1,500+). What’s best is if you can find a question bank that also has a content review, so if you got a question wrong and need more information than the rationale supplies, you’ve got resources to dive deeper into. More things to look for are programs actually written by nurses, ones that provide the ability for you to give feedback on a question, as well as the ability to to purchase more. The absolute best if if you can find one that has a money-back guarantee if you end up not passing the NCLEX®. If you want a comprehensive, quality NCLEX® questions and review, you are looking at dropping at least a few hundred dollars. It’s expensive, but not passing the first time around can cost on average $10K – $20K in lost wages, fees, and study costs. Test.com is simply 23 free NCLEX® prep questions with a buy-up option to their course. You don’t have to register to get the correct answers, but it’s just a few. The buy up is to their review with 800 questions, which is written by nurses, contains a money-back guarantee, mobile-enabled, a create-your-own flashcards, as well as simulation exam capabilities. It’s probably one of the cheapest, if not the cheapest programs out there. I am a big fan of the way Khan Academy teaches. They utilize short videos that are packed with high-value information. Also, they’re free! The NCLEX® prep section has over 600 YouTube videos that are around 10 minutes each. They are mostly taught by physicians, however, because they’re going into the pathophysiology behind things and not actual nursing care. Essentially, you’re missing a massive part of the test content. While they do have some NCLEX® prep questions, it’s only 86 total. You do not have to register to get access to them. My thoughts – this would be a good resource for reviewing pathophysiological content that is hard to grasp and just to have access to 86 free questions… but it should by no means be your only review. Since their focus is on patho, there are no nursing topics which comprise major aspects of the exam. I’d do the 86 questions, then use a handful of videos if needed. 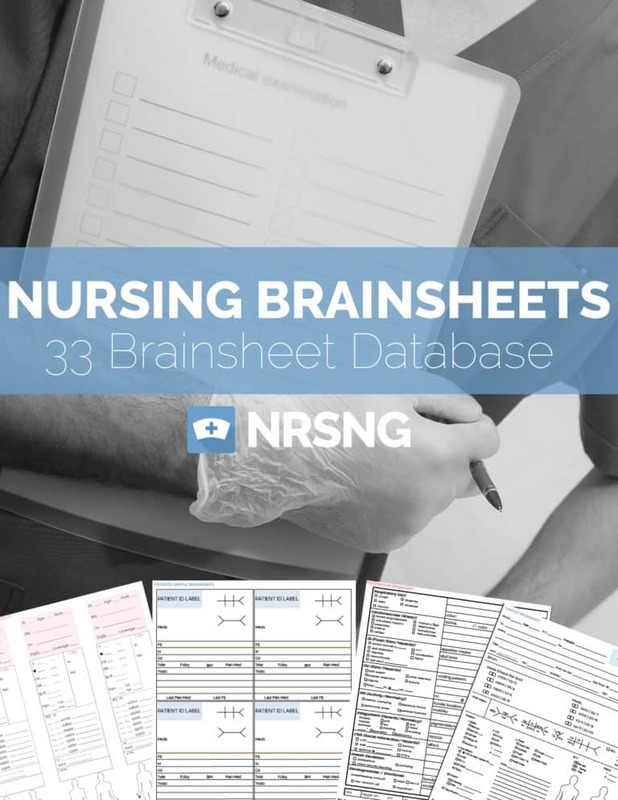 Nurse Labs is arguably the largest database of free NCLEX® prep questions at over 3,500. You don’t have to give them your email, they’re broken up into different categories, and they have different modes you can take them in (exam, practice, text). They have some free study guides which accompany content. You are told which answers are correct and it seems like (sorry I didn’t take all 3,500+ questions to know for sure!) there’s a rationale most of the time, but not always. The way it is organized isn’t the best, but what can you expect when you’re getting a ton of free questions? My thoughts – this is a ton of free NCLEX® prep questions. I feel like the way the site is organized, it’s hard to keep yourself organized. As far as I could tell, there were no alternative format questions or an option to purchase a full review. While there is some content review, you do have to look for it. Also, one of my nurse red-flags went up when looking into the site… their “about” page is pretty non-descript. I cannot tell who writes these questions or who owns this company, which is a little concerning to me. The way I would approach this is I would purchase an NCLEX® review and use that as my primary question bank, then I would only use the Nurse Labs one if I went through all of those questions. If you do all three of these, you’ll have 3,609 free NCLEX® practice questions. Please note, UWorld, Hurst, Kaplan and NRSNG all offer a free set of sample questions – but they are all discussed in the paid section! Kaplan is quite well know. They have different options for reviews like just an adaptive practice test (cheapest), a self-paced online course, a live online course, and an in-person course. They have a 3,400 question bank which includes alternate format items, content review, workbook, simulation NCLEX®, as well as a money-back guarantee. They teach a “decision tree” which helps you think through each question in a systematic format. Their price points range from $129 – $500. Some schools will include this review within your tuition. You can also simply purchase their question bank. Another option would be to simply purchase the book from Amazon for around $30 with Amazon Prime. NRSNG Academy has an adaptive NCLEX® simulator (“SIMCLEX”), a question bank of 3,500 questions with the ability to provide feedback and see the difficulty rank, 500+ flashcards, image and audio database, a test-taking course, and 10 concise content courses, is entirely available on mobile, a private Facebook group for support, and lifetime access to content after the subscription is complete (9 months). Their pricing structure is a bit different, in that you pay a monthly fee for 9 months. They also have a 200% money-back guarantee, so if you don’t pass the NCLEX® while using their resources, they’ll refund your money and pay you that same amount as well. What is cool about this is you can get it when you start nursing school, and it will be valuable throughout school, during the NCLEX®, and after. Also, if you only need it for a few months, it’s significantly cheaper than the other NCLEX® review options. They also have the option of simply purchasing their question bank. Right now you can get a 7 day trial for only $1. Hurst has 3 different options of an in-person review, a live online review, or an online course. They have a question bank of 1,000 questions, a workbook, test simulator, 4 125-question prep tests, an online coach, and a money-back guarantee. If you buy the in-person review, you are able to attend as many in-person events as you’d like. Interestingly enough, with each purchase they donate a vaccination to a child in need. Two of their 4 plans have a money-back guarantee. I personally know people who have tried all of the other products mentioned, but don’t know anyone who has used this product. This is an NCLEX® prep program from the same company who actually write the test. Their question bank has 3,100 questions, a content review, quizzes, capable of being used on mobile, and an Ask the Instructor feature. I somewhat stumbled upon this during researching these options, so I’m not very familiar with it or know anyone who has used it. But, given that it comes from the same company that writes the test, I’d say it’s safe to assume it’s quite reputable. They also have study plans, which are nice to have structured for you. UWorld is another popular choice. While it’s test bank is 1,950 questions, they also have two 75-question self-assessments, are mobile-ready, and I’ve heard that their rationales are superior to some others NCLEX® reviews. I actually did a more comprehensive review of this system on the blog already! Click here to check it out. I think this is a good option or someone who just needs test question practice and not content review, because you will not get that with UWorld. Their pricing structure is different than some of the others as well, since they go by month rather than one large purchase. Whatever program you pick, it’s important to do what’s best for you, your learning style and needs, and budget. Some people just want a content review, some just want practice questions, some want both. There’s no shame in your NCLEX® prep game, do what you need to do to pass! Thank you to AORN for partnering with us for this post. So you’re a nurse or in nursing school, and you think you want to work in the operating room… or endoscopy… or the postanesthesia care unit… or interventional radiology. But, what are the important things to know before getting into this specialized field within nursing? What do perioperative nurses do, exactly? What do perioperative nurses do? I had the opportunity to interview Amber Wood, MSN RN CNOR CIC FAPIC, who is a Senior Perioperative Practice Specialist for the Association of PeriOperative Nurses (AORN) and previously an operating room (OR) nurse at Children’s Medical Center in Dallas, TX. She shares what it’s really like to be a perioperative nurse. Working as a critical care nurse, I have to admit… I was a bit ignorant to all of the perioperative options. Amber informed me that the options include, not only your typical preoperative (pre-op), intraoperative (operating room, or OR nurse), and postanesthesia care unit (PACU), but also procedural areas like endoscopy, cath lab, and interventional radiology. Naturally, your options are dictated by the size of the institution. If it’s a large hospital or a teaching facility, you’ll have more options. If you’re in a smaller rural hospital, you won’t have as many. When thinking about OR subspecialties like cardiac surgery, orthopedics or neurosurgery, there’s more to consider than the type of population you’ll be serving. You really have to also consider the team you’ll be working with and the flow of the day. Maybe you love orthopedics, but you don’t really mesh into that group of people well… or maybe you like lots of volume and patient turnover rather than longer cases with sicker patients. What’s most rewarding about perioperative nursing? In the perioperative world, patients are sedated for their procedure. Their family members cannot come back and hold their hand mid-procedure and ask questions. The responsibility to comfort, encourage, and advocate falls upon the nurse. What’s most challenging about perioperative nursing? When discussing challenges within this specialty, Amber mentioned how different teamwork looks in the perioperative world. When I think about teamwork while providing patient care, I connect it to my experience. For me, I’m used to being on a floor or critical care unit in which I call a physician or healthcare team member as needed to discuss issues. However, this is not the case in perioperative nursing. Teamwork is elbow-to-elbow. Instead of paging a physician with a concern and waiting for a reply, the physician is right there. While that sounds easy and wonderful, some are not used to it. Amber went over a typical day for an OR nurse with me. One of the first things she mentioned was that the way your day will look really depends the shift/time of day and if you’re scrubbing in or circulating. Amber noted that, “the scrub nurse is more focused on instrumentation, planning, and coordination of that while the circulating nurse would be more focused on positioning, equipment, medications, and ensure any issues with implants, tissues, and/or specimens that are needed is addressed.” Also, depending on your facility, you may or may not be working with surgical technologists. Clean the room and get ready to start all over again! Amber says it can sound a lot like a traffic controller because so much is going on at once – and lives are at stake! Perioperative nursing is a highly specialized field, therefore you really want to ensure it is where you want to be. Amber recommends getting as much clinical experience in perioperative areas as possible during nursing school. Amber, like myself, completed an externship between her junior and senior years of nursing school and spent time in the OR. She said this further solidified her interest in working in a pediatric OR. But if you must work in another area of the hospital because you can’t get into the perioperative areas, try to stick to surgical areas within the service line you’re interested in. Another recommendation is to attend a professional development conference, such as the 2018 AORN annual conference. If you’re interested in perioperative nursing, I recommend checking out AORN’s Global Surgical Conference & Expo 2018 in New Orleans, LA. feel energized from all of the fun events and passionate nurses. AORN is excited to offer nursing students a complimentary* registration to Global Surgical Conference & Expo 2018! Students from local nursing programs can come for the entire week, or attend AORN Student Nurses Day on Tuesday, March 27th for a special one-day student program. This conference offers nursing students a unique opportunity to learn more about perioperative nursing and take advantage of superior education developed by leading industry experts. If you are at all interested in becoming a perioperative nurse, you must attend this conference! We’ve partnered with AORN to make that a little easier for you. AORN has generously donated a 5-night hotel stay to one lucky student to enable them to come to the conference! As mentioned, entry for students is complimentary and with this 5-day hotel stay, you’ll be able to reduce the cost significantly! Complete the entry form below for a chance to win. Preparing for the NCLEX is a daunting task. I took the NCLEX back in 2010 and passed in 75 questions in 1 hr and 20 minutes. I’m not a great test-taker and wasn’t a 4.0 student. I did, however, do what I outline in this post. I wanted to share my thoughts with you in hopes that it’ll help you in preparing for the NCLEX so you don’t feel like you’re guessing at a good approach in both studying and mental preparedness. You don’t have to be an A+ student to pass, but there are some important practical steps to take that can make a big difference in whether you pass or fail. Below are my 4 practical tips for preparing for the NCLEX. If you don’t feel like reading, here’s a short video of these tips! Alright here are the tips I go over in the video, but in more depth! A lot of people will get a mental goal of passing in the minimum required (75 questions). However, if you fixate on that and anticipate it shutting off at 75 questions (and therefore consider yourself a failure if it doesn’t) it’ll psych you out unnecessarily. I’ve never had a patient, loved one, colleague, or… well, anyone ask me how many times I’ve taken the NCLEX, let alone how many questions I answered. The NCLEX is NOT like other exams. It is a computer adaptive test. What’s that, you ask? Basically, the first question you are given is of medium difficulty. If you answer it correctly, you’ll be given a more difficult question. If you answer it wrong, you’ll get an easier question. They will keep asking you questions until they can definitively decide if you are above their predetermined passing standard. The NCLEX does shut off if it determines that you will not be above the passing standard as well. There are a lot of NCLEX review options out there. Whatever you pick, develop a study plan and stick to it. You must be disciplined right now; it is not the time to kick back, do a few practice questions, read a few pages of an old text book, and give it a try. Be active and intentional with your studying. Do not be passive and relaxed. Focus. I took Kaplan’s in-person review course in 2010, and answered 25 questions each day (6 days/week) up until I tested 1.5 months later. There are many companies that you can purchase NCLEX reviews from. Which ever company you go with, I recommend sticking to their information and not overwhelming yourself by cross referencing everything with the 400 textbooks you acquired during nursing school. If you get the NRSNG Academy, stick to those resources and only cross-reference when needed, not with every point. If you get the Kaplan course, stick to the book they provide to you. There is quite a bit to consider when you’re picking out which NCLEX review material you’ll focus on. Let’s chat specifically about types, considerations, and the top options out there. In-person review (you physically go there), online-review (similar to an online course), written materials (a self-guided book), content review (access to online or print reference material in various media formats), apps (reference material provided in a smartphone application), and the most important aspect.. NCLEX-style question banks. Seriously. Don’t buy a course or resource without one. The key to success is answering practice questions on a regular basis until you test. Period. Below are some good questions to ask yourself as you select a review plan. The questions marked with * are of particular importance! Do you get your money back if you don’t pass? *How many questions are in the question bank? *Do the questions provide rationales? Does their teaching method align with your learning style? Do they have an option to use their content on mobile? Do the provide you with a simulation NCLEX? Can I try it out before I buy it? *Do they also provide test-taking strategies? Do I know anyone who has used it before? What’d they think? Kaplan, Hurst, and ATI are the big company ones. They provide similar materials and options, and their prices aren’t terribly different from one another. I took Kaplan as a new graduate in 2010. They provided test-taking skills (essential), a question bank, in person course, textbook, and a pass guarantee. NCLEX Mastery is a smart phone app. 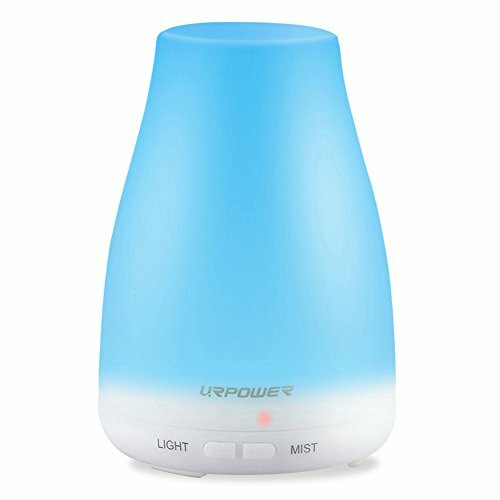 I personally haven’t used it and not sure of others who have, but it’s got a ton of reviews! NRSNG / NRSNG Academy is a question bank, large content review, simulation NCLEX, audio files, case studies, image database, and more. You can also get a 7 day trial for just $1. The NCLEX is a big deal and creates anxiety in even the calmest of individuals. Spoiler alert: we’re all nervous about the NCLEX, some are just better at pretending than others. Even if you don’t struggle with anxiety, this test will make you worry and anxious. The last 2-4 years culminating into one big scary exam is no fun. However, there are some active steps you can take to get control of it. The more unknowns you can remove from the day, the better. Check out this great resource from the NCSBN (again, the people who wrote the NCLEX!) about what to expect when you go to take your exam. They go over things like what to bring, what not to bring, acceptable forms of ID, breaks, and more. Click here to check it out. Naturally, security and identification is a big deal at NCLEX testing sites. Therefore, they have very strict rules that you must follow. You don’t want to get there unprepared and unable to test. Once you know where and when you’ll be testing, start planning. If you test at 8:00 am in a city that’s 2 hours away, consider that travel time. Do you have to worry about driving and traffic? Do you know where you’re going? The more structured you can be and the more predictable the day is, the better. Maybe you’ll want to get a hotel nearby so you don’t have to stress in the morning about the unknowns. I tested at 1:00 pm in a city about 2 hours away. My husband drove me, we went really early and grabbed lunch nearby, and was at the testing center about 45 minutes early. I walked in… and right back out about 1 hr and 20 minutes later! Figure out where you will go, when, where you’ll park, and any other little details. I know this sounds odd you guys, but it works. If you can meditate for 15-20 minutes twice a day for at least a week before the exam, you can help reduce your anxiety threshold and get yourself in a better frame of mind. Yoga and meditation are a great combo… especially after you sit and stare at a computer for longer periods of time, answering practice test questions. Here is a great video where you can do this in the privacy of your home, for free. Once you’ve read what you need to, planned out your studying and NCLEX exam day schedule – trust in that. Don’t try to over-control it all. Stick to your plan, be active in anxiety prevention and studying, and trust yourself. You’ve got this. There are a ton of resources out there. Some great, some… not so much. In my personal experience, one of my favorites and most cost-effective options is the NRSNG Academy. 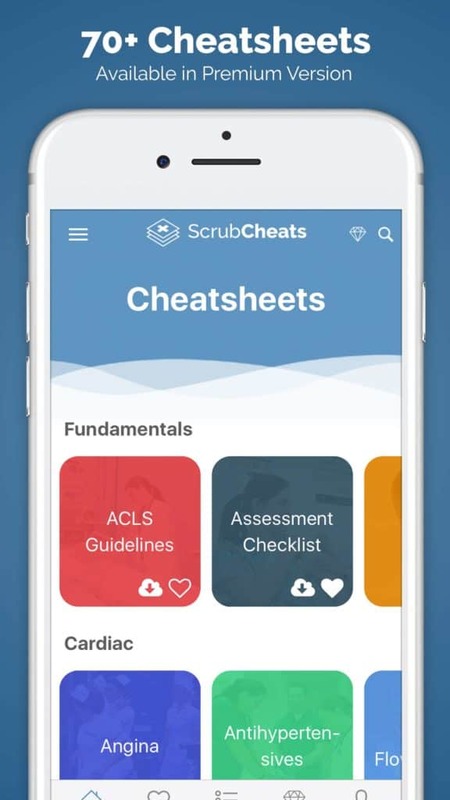 Every single module has NCLEX® points, they also have a simulation NCLEX exam, a massive database of NCLEX practice questions in addition to a huge content review in Fundamentals, OB, Peds, Med-Surg, EKG, Cardiac, Pharmacology, Labs, and my favorite… Test Taking. And, here are some more to check out that were all written by nurses! And here are some great NCLEX related books! What was your NCLEX experience? Talk to me. Tell me what it was like… how’d you study? What were you nervous about? What was your plan, and did it work? This week I am featuring an interview with my sister in-law, Elizabeth Fields. She recently went to Bora, Ethiopia with the medical mission group Health Gives Hope. Last week, I interviewed their founders, one of whom is actually a Nurse Practitioner! Click here to check out the previous post. To give you a little background about Bruce and Elizabeth Fields, they are quite the athletes and world travelers. Bruce played professional basketball in Europe for 9 years and now works at State Farm in the Chicagoland area. Elizabeth played volleyball at Parkland College (where I played basketball for a short time!) in Champaign, IL and then completed her BSN at Indiana Wesleyan University while continuing to play volleyball. She has worked at Northwestern Memorial Hospital for the last ten years as a registered nurse, working the last two years as a Nurse Practitioner. She obtained her FNP from Walden University. These two crazy kids. They met in Austria some odd years ago and have traveled to the following countries either together or separately: Turkey, Switzerland, Austria, Thailand, Ethiopia, France, Italy, Belgium, Norway, Spain, England, Philippines, South Korea, China, Russia, Ukraine, Poland, Germany, Mexico, Japan, Denmark, Canary Islands, Romania, and Canada. Oh, and Bruce has lived in a handful of them as well! Clearly they know a bit about traveling! Me, I’m more of anxious traveler (think Monica Gellar going to London). Please note, answers given below are from Elizabeth, unless otherwise indicated. Why did you decide to go on a mission? I went to Bora, Ethiopia because they don’t have access to health care, and this was something I could not only make a difference doing, but I knew it would grow my knowledge and stretch me professionally. I also went on a mission trip to live out something I was taught and believe in deeply: you should use any talent you are given to bless others. Nursing is a talent that was given to me and I am passionate about sharing it. What was the travel there like? This is from the HGH website: The team flies from the US to Addis Ababa, and then drives south through the lower rift valley into the Guge Mountains of southern Ethiopia. The team will then hike 6 miles, ascending nearly 2,000 feet, from where the road ends in Chencha to the village of Bora. Travel in Africa is entertaining and challenging. We were on planes, boats, buses, and on foot – our baggage traveled up the mountain by donkeys and our road was often congested with cattle, camels, and people. Tell me what was going through your mind the first time you saw their set up for medical care? The clinic set-up is smart, efficient, and well planned – their resources are growing – but the first thing you think is – “WOW – they have access to SO LITTLE compared to what we are used to; how am I going to make it work?”. But then, you make it work, and realize how MUCH we have in the States and how profound your assessment skills are! What are some of the biggest differences between the care you provided there versus in the USA? We had no access to running water, internet, or specialty consults. We had no diagnostic testing. I had to be excellent in my history and physical taking, and in my assessments so that I could determine differentials and treat appropriately. The creativity needed to get medications into infants, translate reasons, times, importance and information to patients was profound. The translators were amazing, but I have to hand it to the nurses – they had so many amazing ideas to help make these challenges ones we could overcome. What were your meals like? AWESOME and different! It was a mix of American food and authentic Ethiopian foods. The people there are extremely hospitable and loved cooking for us. We got to observe and help them cook in a “cooking hut”, and experienced what is like to cook without any modern conveniences. Some of the meals they made for us I have tried to recreate here, and have been moderately successful in accuracy. What were the sleeping conditions? We slept in mud huts, on straw, in our own sleeping bags. At first I struggled with the conditions – it is exactly like you would see it in the National Geographic! But looking back, I wouldn’t have wanted to sleep anywhere else; I lived and experience it in the most authentic way possible. Tell me the bathroom situation, STAT. Bathroom? You mean tell you what it was like to squat on a gorgeous mountain side and hope no animals or humans saw my southern regions? Two words: wet. wipes. Tell me about some practical cultural differences. One of the things that hit us hardest was the reverence and respect for elders that everyone had. Here in the states the elderly population is often viewed as a burden, while in Ethiopia they are cherished and consulted for their wisdom. Another shocking difference was how hard the women worked. The Ethiopian people often refer to women as “provider”. You will see in our pictures that women do the heavy lifting there. Elizabeth, walk me through one day as an NP there. I had two interpreters assigned to me. Each patient would come in my exam room, tell me their complaints/history, and symptoms. I would do an examination, diagnose their problem, and prescribe medications (pending availability). When I had a patient that “stumped” me, I called upon the other practitioners and nurses for their expertise. Because we had no diagnostic testing available (labs, X-ray machines) collaborating was our lifeline; we all needed each other to make each day in clinic work and it was an incredible experience! Bruce, walk me through one of your days there. Every morning we wake up and walk from our hut down the mountain to a place we called “the cliff”. It was an incredible time to enjoy a beautiful view and reflect on our days there. We then returned to our compound to have breakfast that was made for us by the locals. It consisted of grains, potatoes, sauces, and amazing Ethiopian coffee (FYI, Ethiopia is the birthplace of coffee). We hiked up the mountain a mile to the clinic every morning, with the village children holding our hands the entire way — this experience melted my heart. My time in the clinic consisted of building shelves, setting up a privacy tent for the bathroom over a hole dug by a previous team, working in the pharmacy dispensing the medication prescribed by the practitioners, and helping teach patients how and when to use them. I often made lunches for the entire team with another group member and did what was necessary to ensure a good flow at the clinic. I was concerned that because I’m not medical I wouldn’t be very useful, but when I got there I found the opposite to be true. We each had a role and without each other it would’ve been impossible for the clinic to be successful. About $2500 a person, and this included flight, ground transportation, lodgings, food/water, two days of sight-seeing. It was the cheapest 2 weeks abroad! How do you feel this impacted your marriage? Do you recommend married couples going together? YES! GO TOGETHER! My husband isn’t medical, but the need is so great and watching him use his gifts in service by building shelves, working in the pharmacy, making team lunches, setting up privacy tents, and playing with the kids was – well, SWOON. I can’t exactly bring him to work with me to see patients here in the States; watching each other in our own elements was amazing. It gave us greater respect for one another, and made me want to encourage him more in what he excels in. I know these experiences are hard to predict how they will affect you. What did you anticipate versus what did you experience? I didn’t expect to want to stay there longer – but I was so sad to leave. There are days at work when I find myself in the grind of the day, burnt out and discouraged; to feel so needed and impactful in Bora, Ethiopia was priceless, and it took me off guard. I didn’t know I would fall in love with medicine again – I didn’t know that I needed to be there for my own benefit, just as they needed me there. What did you learn that has changed your practice as an NP in the US? Because I had to rely so heavily on my assessment skills and collaboration with the team when I was faced with a questionable diagnosis, I have worked much harder to perfect those areas since I’ve been back. Those areas include knowledge and differentiation of various heart and lung sounds, alternative treatments, and preventative medicine. My desire to be a better provider has substantially increased since going to Ethiopia. We would go back tomorrow. Without blinking. It was professionally and personally something that humbled us, empowered us, and revitalized my passion for medicine and nursing.